Today is Saturday, March 2nd, 2019, and these are your news and notes. There were eight contests in NHL action last night. The Pittsburgh Penguins would face off against the Buffalo Sabres and would come out of this contest with a point, falling to the Buffalo Sabres by the score of 4-3 in the overtime frame. The Philadelphia Flyers would double up the New Jersey Devils last night with the 6-3 win and this would also mark the first win as a Philadelphia Flyer for Cam Talbot. The Washington Capitals would visit the New York Islanders last night and would come away with two crucial points in the division standings. Washington would go on to defeat the Islanders by the score of 3-1. Alex Ovechkin would register his 45th goal on the season for the 10th time in his career and now holds the League record for most 45 goals in a season. TXHT has your full complete coverage of the contest at the following page. The Montreal Canadiens would visit the New York Rangers and they would come out of New York with the 4-2 win last night with Montreal’s Joel Arima registered hat trick in the contest. 24 des 28 buts de Brendan Gallagher cette saison ont été inscrits à égalité numérique, bon pour le 7e rang dans la LNH. The Carolina Hurricanes would come away from this contest against the St. Louis Blues with a 5-2 in Raleigh last night. Carolina’s Sebastian Aho would score his fourth SHG (shorthanded goal) on the season and would move into a tie with three others for the League lead. There would be five different goal scorers for the Winnipeg Jets in their 5-3 win over the Nashville Predators last night. With the win for the Jets, they leapt ahead of the Predators for the Central Division lead. Vegas Golden Knights goaltender Marc-Andre Fleury would come away with a shutout win for Vegas in their 3-0 win over the Anaheim Ducks last night. 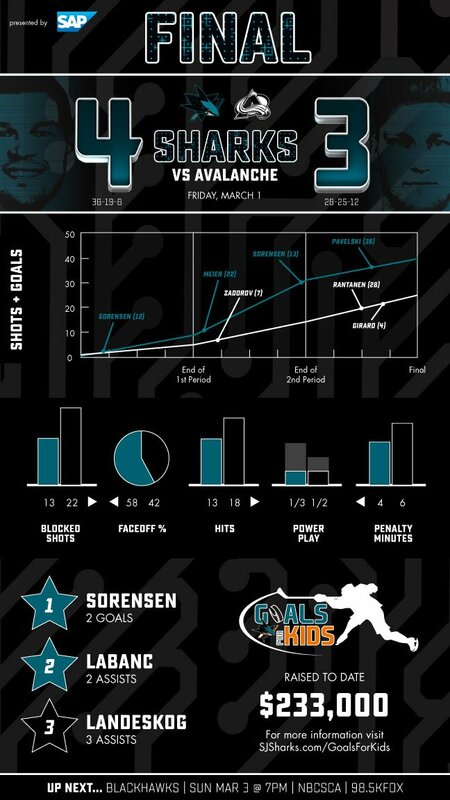 The San Jose Sharks would squeak by the Colorado Avalanche with the 4-3 win, with San Jose’s Marcus Sorensen scoring two goals in the contest. On the three Avalanche goals, Gabriel Landeskog would have an assist on all three goals. *Image is the property of the San Jose Sharks Twitter page. For more news, notes, information, and statistics, please check out the NHL’s Morning Skate at the following page. The final games on the NWHL Regular Season begin tonight with the Minnesota Whitecaps visiting the Boston Pride at 7:30 p.m., ET. The game can be seen on NWHL.zone. TXHT will have coverage of the contest tomorrow. 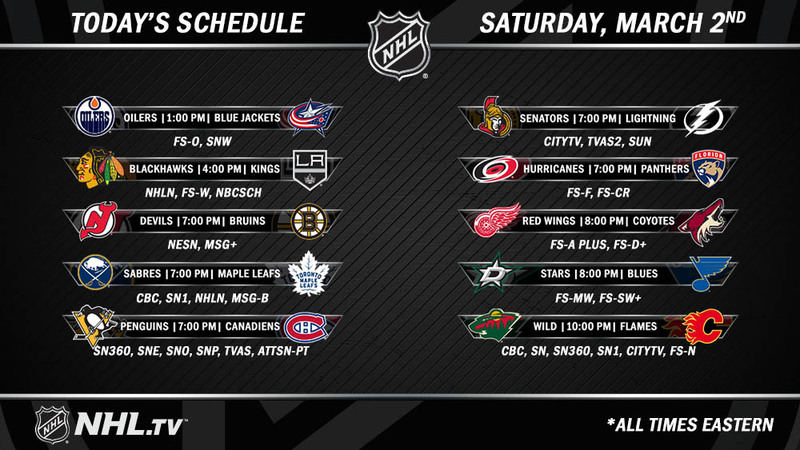 Saturday night is going to be HUGE. Playoff positioning is on the line in a BIG WAY when @TheBostonPride hosts @WhitecapsHockey at 7:30 pm at @WarriorIceArena!